A main business activity is Coffin Turbo Pump boiler feed pump overhaul & repairs. 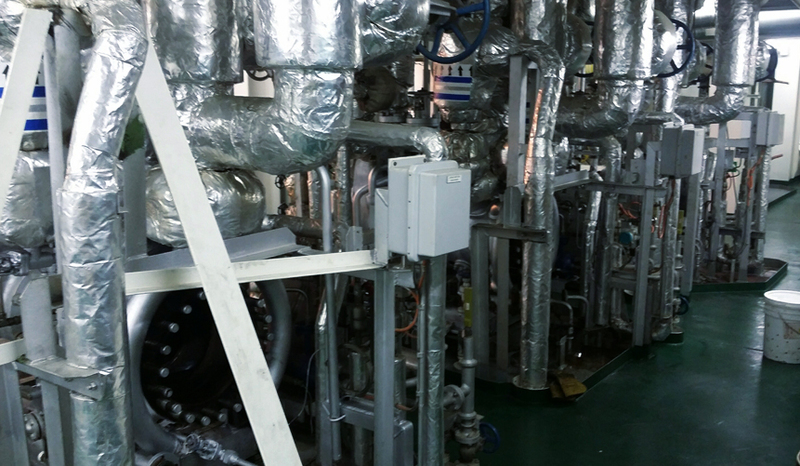 These are high-speed centrifugal pumps are installed on various vessel-sizes and offshore structures on assets of leading Maritime and Oil & Gas companies. The pumps function is to (re)- deliver boiler water back to the main boilers ensuring a constant flow and adequate water levels in the main boilers. The pumps usually are overhauled in 3 to 5 years intervals and overhaul includes: assessment of pumps internals, replacement of required rotating parts and main components, overhaul of pump controls and speed limiters as well as lubricating oil pumps. As the boiler feed pumps are part of the main power – and/or propulsion plant and therefore a critical system our technicians work closely with ship’s engineers to ensure safety on all aspects of our activities, work environment and a flawless start-up and plant monitoring.